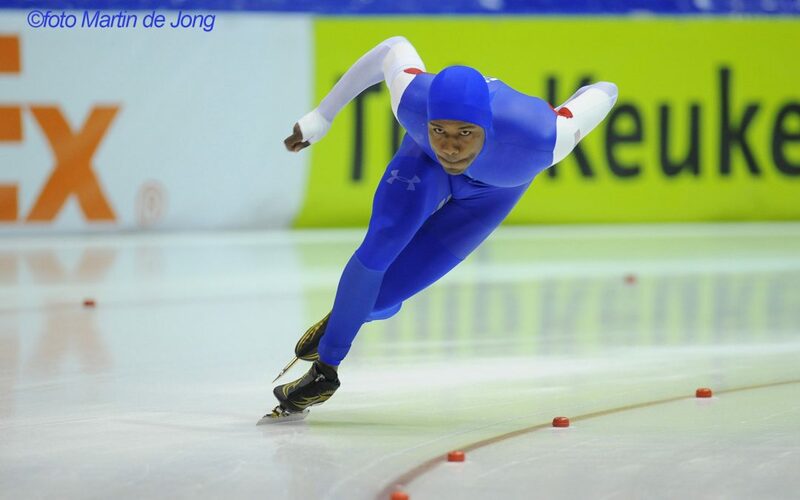 As the rest of the sport’s elite jockeyed for positions in the overall World Cup season standings, all-world speedskater Shani Davis already concluded his 2014-15 campaign, resting on a triumphant performance at the ISU World Championships in February where he captured his record fourth 1000 meter crown, marking his 10th individual world championship title. Far from dwelling on the past, Shani has already begun plotting his competitive future, one that points toward, perhaps ending at, Pyeongchang 2018. ShaniDavis.org: What do you take away from this past season? SD: My assessment of the season is that we got into pretty good shape but lacked some specific training to be competitive enough with the world. I find it very challenging to prepare for the season after an Olympics since the motivation isn’t the same and there is less at stake. But regardless of the season my true passion remains competing at the highest level. I was unsatisfied with my World Cup season so I simply did the best I could to get ready for World Singles and the challenges that came with building myself up to face the field that had been beating me all season. Every day after the fall [World Cup events] was spent improving enough to get on the podium at Worlds. I knew my strengths but I just had to improve certain things. Despite how the season was going I knew what I was capable of and everything just came together at the right time. I weathered the storm, survived the drought. In becoming World Champion again I don’t know that I ever had to summon so much perseverance and patience. Becoming older is a challenge for any athlete, so staying consistent and training wisely is the biggest challenge I face now. This season I learned a lot about myself dealing with the up and coming challengers and with the overall level of competition rising. Timing is still everything! ShaniDavis.org: Going forward, what new goals you will set and what adjustments will you make? SD: My new goal is simple: be more competitive! Also, choosing my battles wisely and adjusting my training so that I’m fast when it’s most important, that’s a big part of my new goal. I proved to myself this season, maybe more than any other season, that I have the talent and potential and if I focus and go about certain things intelligently, there’s no reason I shouldn’t be competitive or even keep winning. Really, I appreciated struggling this whole season and working tooth and nail to get back on top. It actually increased my confidence and overall drive to continuing skating for as long as possible. ShaniDavis.org: What is the nature of the injury from World Sprints? SD: The injury isn’t anything serious. It was wear and tear from skating week after week, pushing my body, asking it to do things it wasn’t trained properly for. I’m surprised I was able to get so much out of my body this season, and I’m so thankful [the injury] didn’t happen at World Singles! The timing of the injury was perfect, right at the end of the season, before my break from training. It was my body telling me to reset, strengthen, and start preparing for another challenging season. It was nothing more than a minor strain in the left adductor, so don’t worry I’m rehabbing it now! ShaniDavis.org: One year out from the Sochi Games do you still look back? SD: Sochi is long gone. In my mind I replay the races and I never stop thinking of the outcome, but someday I will know exactly why the skating gods didn’t shine on me and chose others to have their blessings. It took a long while for me to accept it and I can now say (grinding my teeth!) that it’s over and nothing can change the results and that I didn’t get to three-peat or podium in the 1000m and the 1500m. Hopefully someday I will find closure, and hopefully some day soon!